Namely the focus here is on both the race for Democratic committeeman and 34th State Representative. 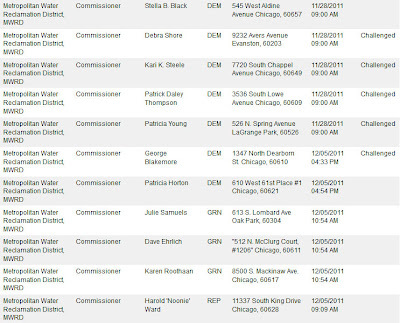 Information for committeeman is via the County Clerk though hopefully more information is available through the Chicago Board of Elections. The information for state representative is via the state board of elections. Paul Gregoire and Sandra Wortham have been challenged in their bid for state representative. 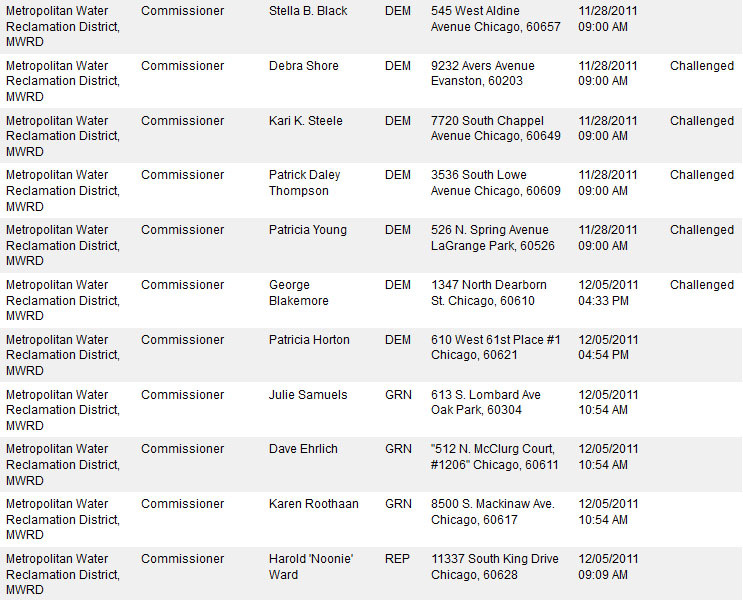 Another race of note is Water Reclamation District where Kari K. Steele has been challenged in her bid as well. Feel free to offer any further updates to these challenges as they occur!